By the time I reached Malappuram, two youngsters in Argentina jersey were waiting for me. Mr. Tanvir, my friend from Makkaraparamba, had arranged the meet up. Mr. Shafiq and Mr. Nithumon were the self-proclaimed Brand ambassadors of the Argentina team. 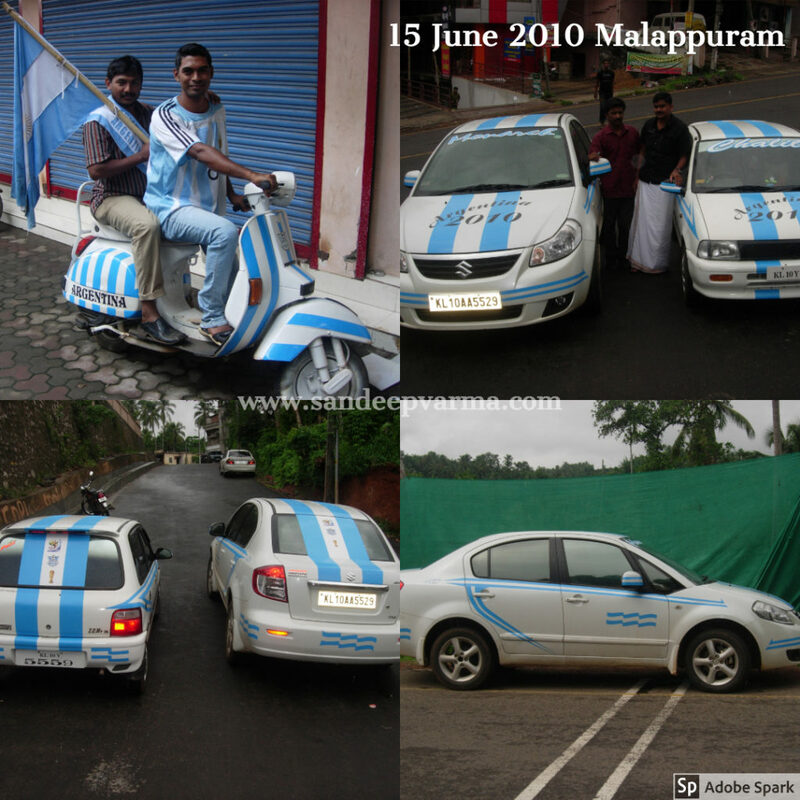 During the World Cup season, in their specially decorated Scooter, they travel to all the interior parts of the Malappuram district, spreading the message and encouraging everyone to root for the Argentina team. They make sure that they cover all the football clubs and they are treated as local heroes, especially at Argentina fan clubs. Mr. Shafiq told me that they purchased their scooter mainly for the World Cup season. They spent about Rs 1000 for stickering. That evening there was a road show in Malappuram town. These road shows are a mere demonstration of fans’ craziness towards Football. You can see all types of merchandising, flags, bikes and cars decked with stickers and painted in various soccer playing nations’ flag colours. In Malappuram, blue was the predominant color, Blue being the color of Argentina. 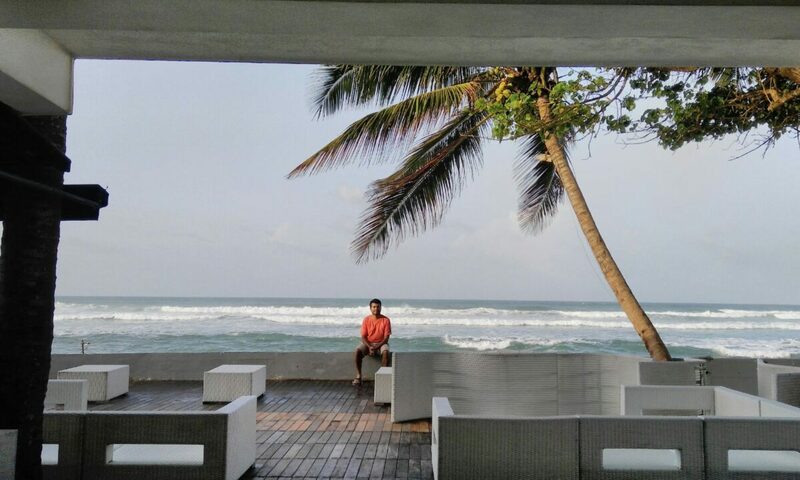 Mr. Shiju, a business man, wanted to do something different during the World Cup. So he decided to sticker his two cars. He attended all the road shows related to the World Cup. He spent around Rs 3000 per car for stickering work. Previous PostPrevious FIFA World Cup- The Festival Of Malabar: Areekode- The Football Village.